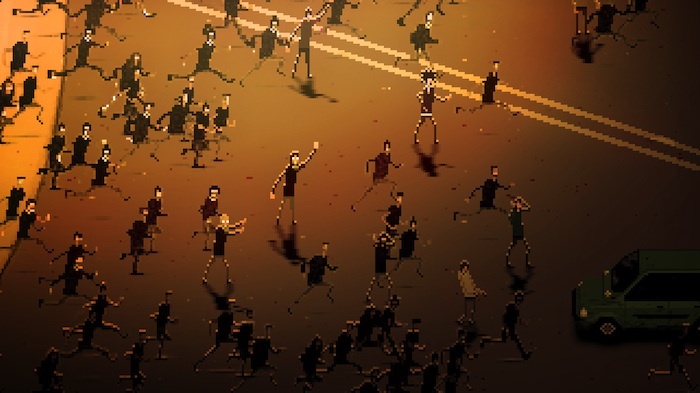 RIOT is a simulator of riots, based on the tragic events taking place in many parts of the world in these times of crisis ... The game is being funded via Web IndieGoGo, where you can already support the initiative (starting at $ 5 for receive the game on the mobile platform selected). T he project has already raised $ 18,000 of the $ 15,000, so it definitely will take place and will be available at a date not yet confirmed for iOS, Android, PC and Mac. 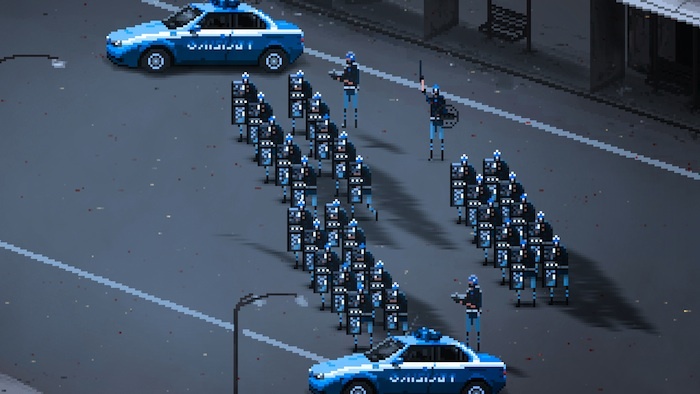 The game recreates Pixel Art style very accomplished and attractive, the "typical" riots between demonstrators and police, having to choose and control one of the two "sides" facing. As you can see from the pictures, the style of play is a kind of strategy game, where we have to decide what steps to take to prevent the other side we gain ground, but will have to wait for more information to see if only based on street battles or allows any side management, getting through to politicians, journalists, resources, protesters, policemen and destruction. We will monitor developments happening around the project and we have been very interesting, both in content and continent.